Periodontal disease is a common inflammatory condition of the oral cavity caused by the body’s efforts to combat chronic bacterial infection in the tissues that support the teeth. If left untreated, it can lead to irreversible tissue damage and ultimately to tooth loss, creating quality of life issues for many people. In addition, a growing body of evidence indicates that periodontal disease may contribute to or make worse a number of life-threatening conditions including diabetes, heart disease, cancer, and pre-term births. The impact of periodontal disease is felt around the world, and it affects a large percentage of the population. Researchers have stepped up their efforts to understand the underlying science of the disease, with the ultimate goal of finding improved ways to diagnose and treat it before it causes serious harm. There has been increasing interest in exploring saliva for biomarkers related to the disease. Research has progressed to the point that we are now witnessing initial attempts to put what has been learned into practice. Once these practical trials have identified the most effective analytes and techniques, it should then be possible to make them available for clinical use. Ultimately, there is also the hope that it will be possible to identify those individuals who may have an underlying susceptibility to the disease, who can then be encouraged to seek out more frequent preventative care. As an advocate for the use of salivary biomarkers for both research and diagnostic purposes, Salimetrics is making assays of analytes related to periodontal disease available to researchers and clinicians. In this issue of The Spit Report, we present a sampling of recent papers that illustrate some of the more important research areas within this broad topic. To facilitate research into the genetic predisposition of some patients towards periodontal disease, our DNA analytic service has prepared a panel of single nucleotide polymorphisms that have been found to have associations with periodontal disease. Initially, this panel will include markers for IL-1 alpha (C[-889]T), IL-1 beta (C[3953/4]T), CD14 (T[-260]C), IL-6 (G[-174]C), and IL-10 (C[-592]A). Our network of expert consultants may also suggest additional polymorphisms that are appropriate for your specific research topic. For further information on our new periodontal markers, please call customer support at 1-800-790-2258, or email us at support@salimetrics.com. 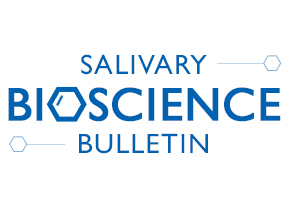 Saliva as a diagnostic tool for periodontal disease: Current state and future directions. Giannobile, W.V., Beikler, T., Kinney, J.S., et al. Periodontology 2000 50 (2009): 52-64. The clinical value of salivary biomarkers for periodontal disease. Zhang, L., Henson, B.S., Camargo, P.M., Wong, D.T. Periodontology 2000 50 (2009): 25-37. Highlight: Two overviews of the use of salivary biomarkers to diagnose periodontal disease. Salivary biomarkers of existing periodontal disease: a cross-sectional study. Miller, C.S., King, C.P., Langub, C., et al. J Am Dent Assoc 137 (2006): 322-29. Highlight: Salivary biomarkers successfully identify periodontal disease. Periodontal disease: Association with diabetes, glycemic control and complications. Taylor, G.W., Bornhakke, W.S. Oral Diseases 14 (2008): 191-203. Highlight: Diabetes can elevate levels of periodontal disease, and periodontal disease can contribute to worsening glycemic control and development of diabetic complications. A review of the relationship between tooth loss, periodontal disease, and cancer. Meyer, M.S., Joshipura, K., Giovannucci, E., Michaud, D.S. Cancer Causes Control 19 (2008): 895-907. Highlight: Increasing evidence shows that periodontal disease may have links to oral, stomach, and pancreatic cancers. Treatment of periodontitis and endothelial function. Tonetti, M.S., D’Aiuto, F., Nibali, L., Donald, A. New Eng J Med 356(9) (2007): 911-18. Highlight: Treatment of severe periodontitis results in improved arterial flow. Cytokine gene polymorphisms in periodontal disease: a meta-analysis of 53 studies including 4178 cases and 4590 controls. Nikolopoulos, G.K., Dimou, N.L., Hamodrakas, S.J., Bagos, P.G. J Clin Periodontology 35(9) (2008): 754-67. Highlight: Two cytokine polymorphisms are related to increased risk of developing periodontal disease. Stress, depression, cortisol, and periodontal disease. Rosania, A.E., Low, K.G., McCormick, C.M., Rosania, D.A. J Periodontology 80(2) (2009): 260-66. Highlight: Stress and depression may be associated with periodontal damage through behavioral and physiological mechanisms.